At Hands at Work, our volunteers are called by God from all over the world to serve the most vulnerable in Africa. Each of us has a unique story of how we were transformed when we stepped out in faith and were obedient to His call. Taiwo shares his story and the journey that has led him to serve in his home country of Nigeria. After my mother and twin brother passed away during childbirth, I was taken to live with my grandmother in a different village than my father. As a child growing up, I thought that she was the one who had given birth to me because we were so close and she loved me. She didn’t want to see anything bad happen to me. My father would come to visit me on a regular basis but on one occasion, I jokingly told him that I wanted to go back to live with him, however I didn’t think that he would take me seriously. One day, when I came home from playing with my friends I found that my father had packed up my things and put them in the car. I wasn’t happy because I didn’t actually want to leave my grandmother but I had to go back with my father. This was when I met my siblings for the first time. Whenever my siblings and I had a break from school, my father would take us to my grandfather’s house in the capital city of Nigeria, Lagos. After I had completed secondary school in Oyo State, I made a permanent move to Lagos to stay with my grandfather. I didn’t work or start university when I first moved to Lagos but eventually I went to university as a part-time student. One day, I heard about Hands at Work and that they were looking for an administrator in their local office in Lagos. I needed to be working to pay for school so I applied. When I joined Hands at Work in 2009, I started learning more about what this organisation was about. I hadn’t previously visited any of the communities where the children were living. I knew what a Non-Government Organisation was but I had never worked for one before. I was happy to be working with the children because I liked hearing their stories and visiting them in their homes because this is what God really loves. I don’t see what I do as simply a job any longer. I see it as something that God loves and I want to be part of helping the children. When I joined Hands at Work I was already a Christian, but over time my life was transformed. I have come to understand what caring means. It has changed my heart and I have become passionate about serving the children. I read in the Bible that serving is what God has called us to do. I am living a new life – a life that God wants. I am working for the lost ones by visiting them in their homes, loving them and being a part of their lives. It is encouraging to be part of what God desires. I started with Hands at Work as an administrator in 2009 but in 2015 I transitioned to being a field coordinator. I work in the Hands at Work local office in Lagos alongside Toyin, Vivian and Matthew. Being a field coordinator, I have the opportunity to go out into the communities more frequently than I did as the administrator. I am happy to be a part of God’s calling by visiting the children, knowing their stories, names and playing games with them. We have the opportunity to get close to the children and know what is happening in their lives. When they are visited frequently they begin to trust and feel safe around us. My family knows what I am doing but it is challenging at times because they expect me to focus on making money. I believe that doing what makes God happy doesn’t always involve making lots of money. One of my highlights working with Hands at Work has been the way that God has opened my eyes to see the way other people are living. God has showed me that there are people who are suffering and that they are close to God’s heart. I have learned the importance of giving of what I have to the people around me. 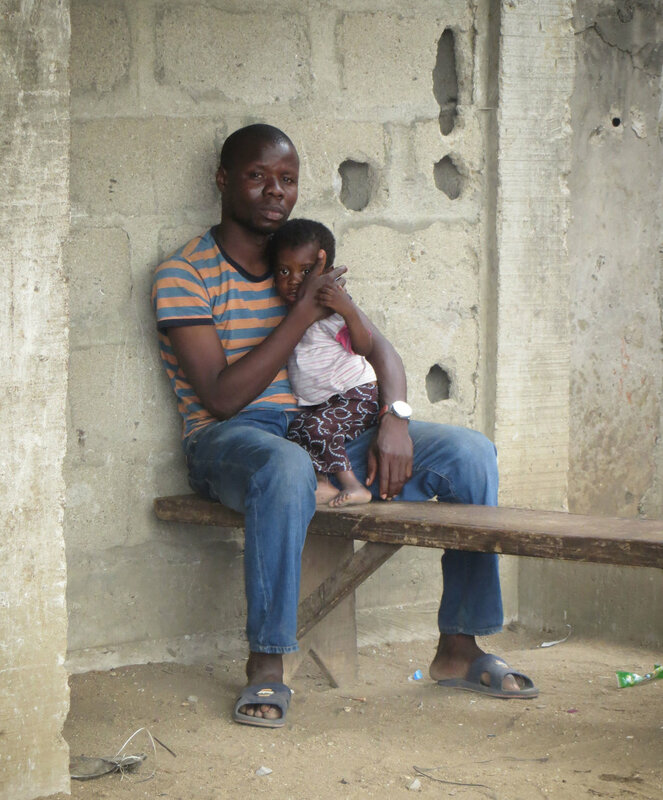 Taiwo lives in Lagos, Nigeria and continues to serve as a member of the Lagos Local Office.